The Evolva range by Britax has been hugely popular with parents for over 10 years. The many years of research and testing gives you the reassurance that you are buying a quality car seat that is as safe and secure as can possibly be for your precious bundle. The fact that the Mother and Baby 2018 award winning Evolva 123 SL SICT Car Seat also looks spectacular is obviously a factor in the decision making process! Well, we are only human after all! Why should I buy the Britax Evolva 123 SL SICT Car Seat? 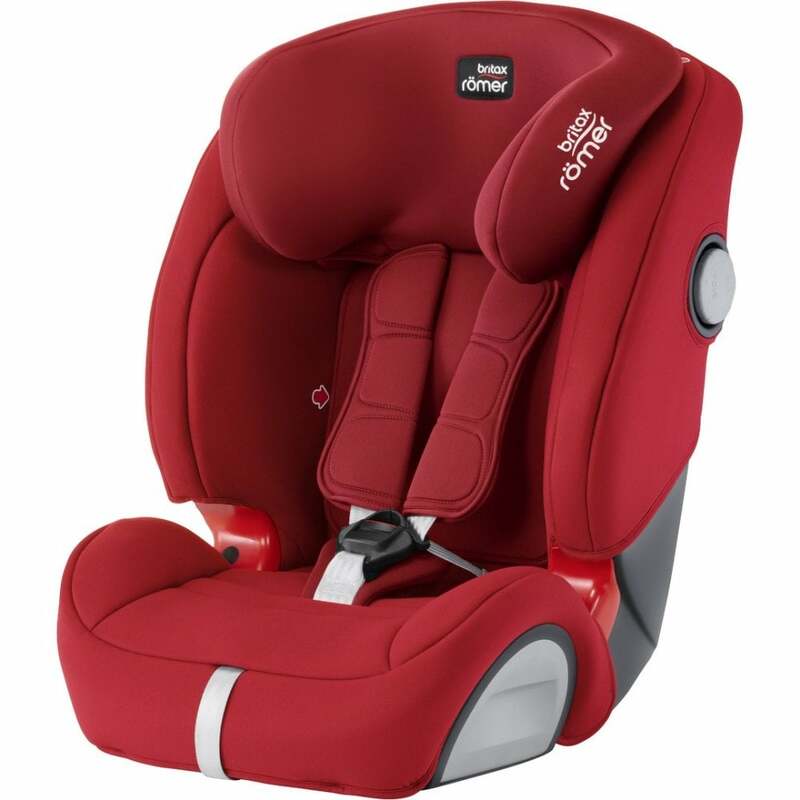 This superb Group 1/2/3 forward facing Car Seat is suitable for your little person from 9 kg - 36 kg (approximately 9 months - 12 years). It gives you advanced safety performance, which let’s face it is the main priority when choosing a Car Seat for your most valuable treasure. The Side Impact Cushion Technology (SICT) ensures that your child is protected in case of a side collision and the high-back booster protects your child in 3 ways: the seat shell provides head to hip protection; the upper and lower belt guides provide correct positioning of the seat belt and the padded headrest provides safety and comfort for your child’s head and neck. Super soft and comfortable, the chest pads have been designed to help reduce your toddler’s forward movement in the case of a frontal collision. The 5-point harness distributes the force of any impact across 5 points, and features a CLICK & SAFE® audible harness system for peace of mind. Soft-Latch ISOfix installation connects the seat directly to the car. The Britax Evolva 123 SL SICT Car Seat can be installed in most cars - using ISOfix anchorage and a 3-point seat belt, or just the 3-point seat belt alone. As well as all the safety features mentioned above, the Britax Evolva 123 SL SICT Car Seat has an easily adjustable padded headrest and harness for ultimate comfort. It provides multiple recline positions which is perfect for when your nipper starts growing. The Evolva 123 also has a machine washable, quick-remove cover that comes away easily without taking the harness off: perfect for when your child drops ice-cream all over himself. What are the specifications of the Britax Evolva 123 SL SICT Car Seat? The Britax Evolva 123 SL SICT Car Seat measures (h) 61-86cm x (w) 51 cm x (d) 48cm and weighs 8.6kg. Do I get a warranty with the Evolva 123 SL SICT Car Seat? Yes. You get a 2 year manufacturer’s warranty against manufacturing or material defects (excludes polystyrene inserts). This warranty applies to UK mainland. Showing our 2 Britax Evolva 123 SL SICT Car Seat reviews with an average rating of Excellent. Would you like to write a review? Your Review - Twins seem very happy in their new seats! Excellent service arrived within 48 hours, much appreciated as we were about to go on holiday.